Boost converters or boost regulators? 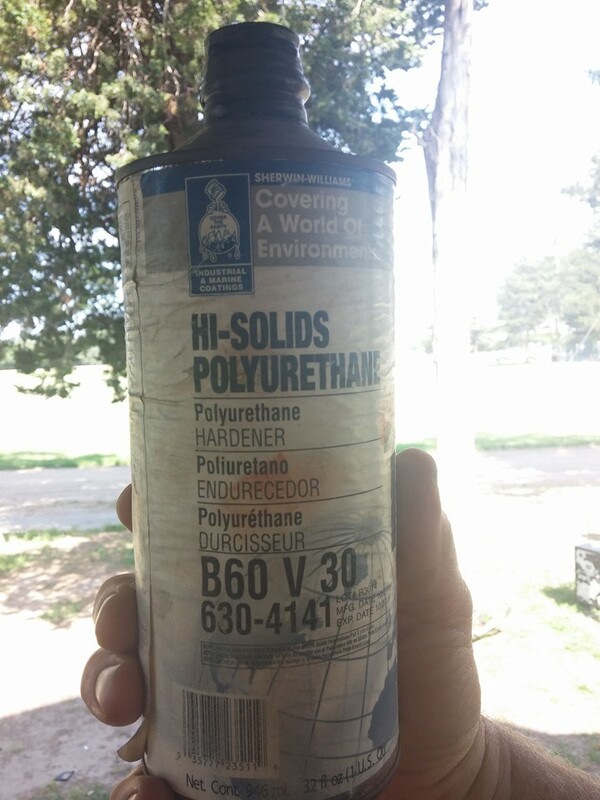 them as the resins harden.plenty of room to clear the windings. hammer against the table and check progress with each tap. thru the rotor housing keeping the winding away from the bearings. Last edited by BroMikey; 06-11-2016 at 03:28 AM. be cheap enough for someome to use only as a small test. to step up voltages now but the one I have it only 1 sq inch. he calls this a BUCK CONVERTER but I don't think so. It looks like a simple circuit? But i don't know. realizes double rectification by collaborating with MBR10200. 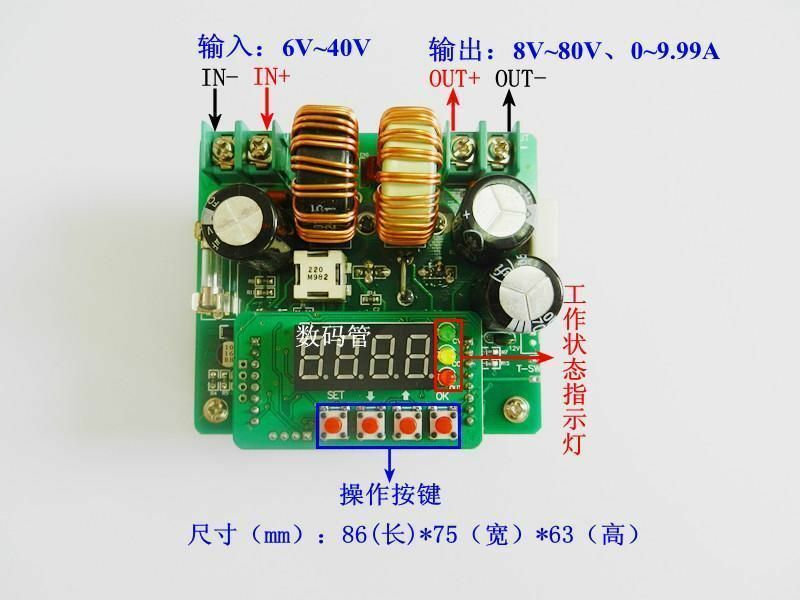 Max output current can reach 8A. 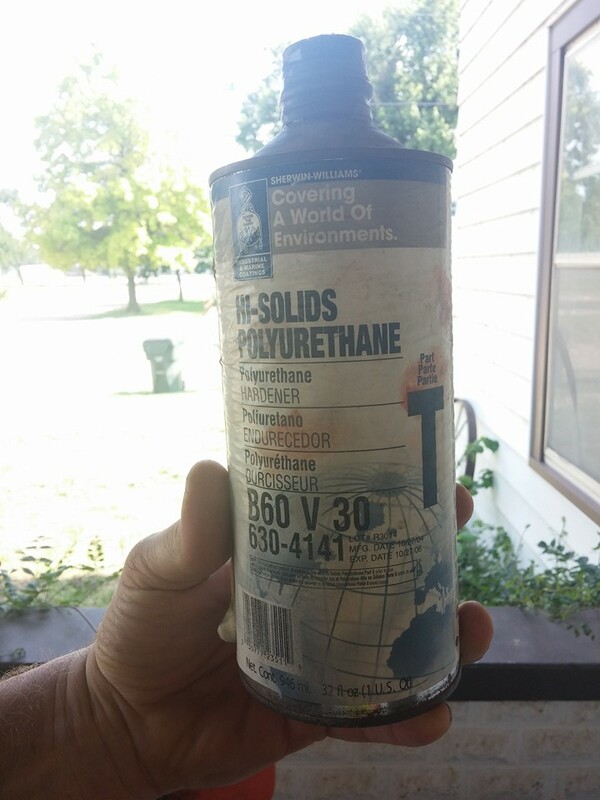 Recommend no more than 5A for long-time work. 1. Drill a hole for 7mm on the panel. 3. Tighten the screw and cover the knob. Last edited by BroMikey; 06-11-2016 at 11:27 PM. coupled blocking diode, otherwise it will damage the module. I might solder the wire on instead. Last edited by BroMikey; 06-16-2016 at 04:19 AM. You wil have to let us know if it will work wired as Matt has shown us. Some of the better boost converters I have purchased will NOT run that way. I have purchased 8 different boost converters and two of them would not run the way Matt showed us to wire them. Unfortunately, they were the more efficient ones. I decided to take the chance. I can always buy more. a tiny bit more power to charge my 2000 ah 12 battery set. 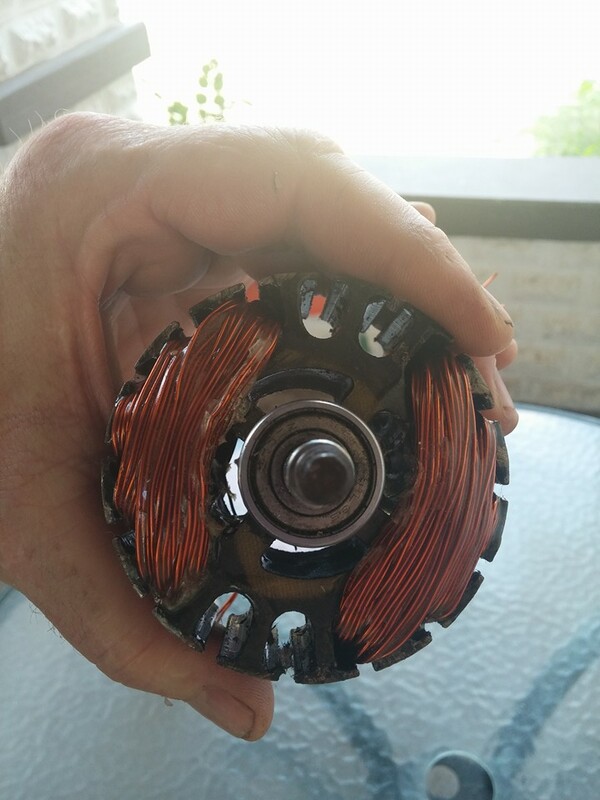 Pulse Motor Tesla switch rewound Kool charger. 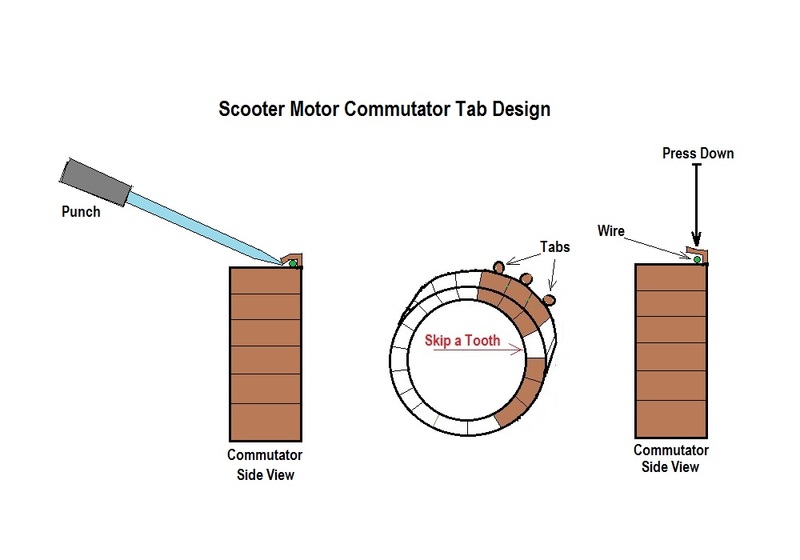 duplicate the motor switch action with a circuit. When I get it running I'll post my success story for all to see. so clear now but 2 years ago? I don't know. Humm... I am thinking about it. I am charging batteries. and watch the battery burn down. Record time and joules. 12volt batteries reach 12v or maybe 11.5v something like this. conventional (Burn them amps to the ground ) operation. suggested with a split pos....... arrangement. That I can tell you will far surpass the previous connection. I see all of the information, the diagrams, connection paths. with a voltage drop doesn't cost anything in joules to run. Last edited by BroMikey; 06-17-2016 at 02:05 AM. Last edited by wrtner; 06-17-2016 at 03:40 PM. this video tells you about boost converters. 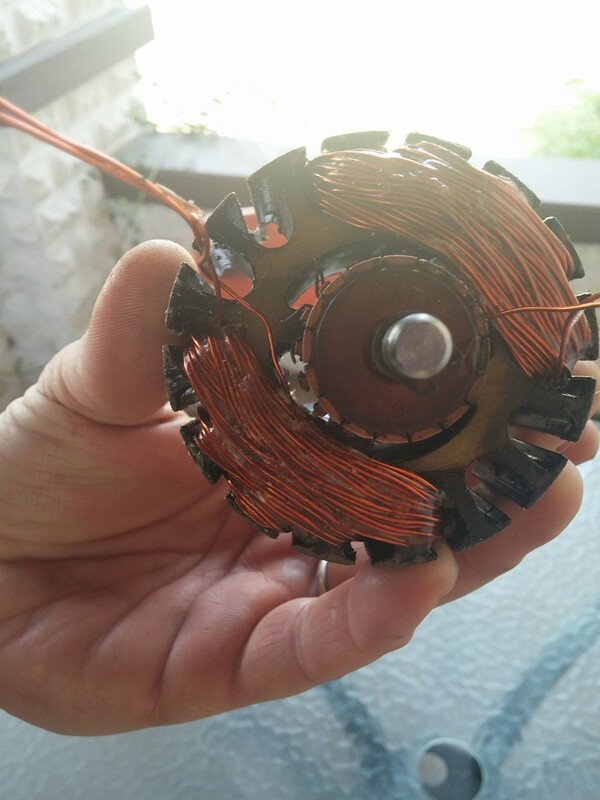 Longer wires or longer coils produce higher voltages. Working in 105 degree temps is kicking my other end. Extreme high temp advisory in effect now. Last edited by BroMikey; 06-18-2016 at 02:52 AM. 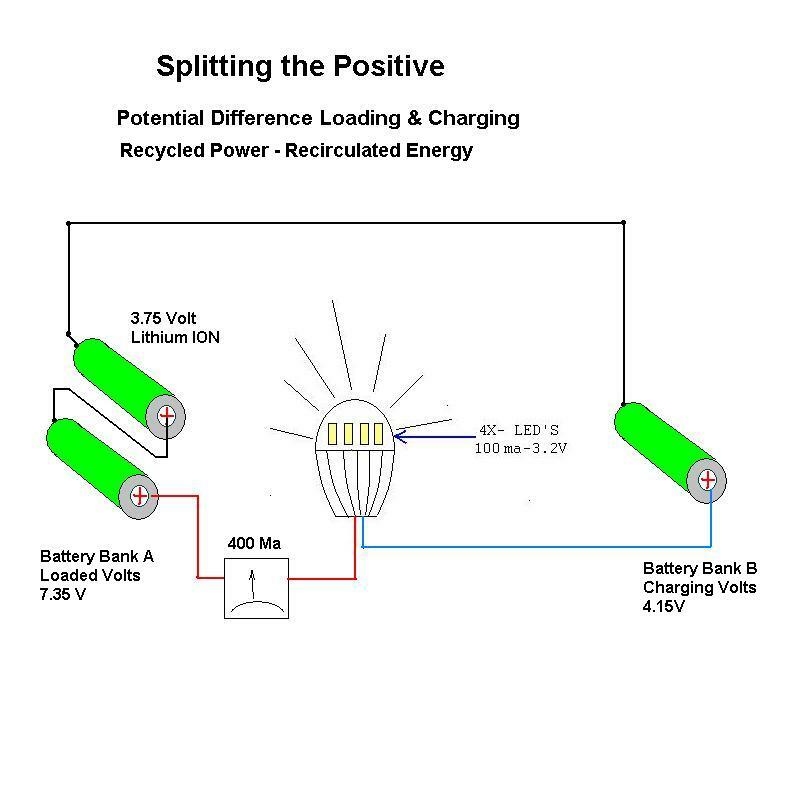 Batteries and this diagram shows you how I did it. does seem to work. I'll keep doing it to see where I messed up. light with no drop in battery capacity. Something is not right. we have our foot in the door here. enabled 4 LED's to match the power draw I was after. and a final 5th run trying to get these batteries to drop. went down to 300 ma from the original 400 ma.draw. Last edited by BroMikey; 06-18-2016 at 10:20 AM. that is needed to establish a norm with these batteries. It was fun to watch the light run and battery charge the other way. Last edited by BroMikey; 06-18-2016 at 09:50 PM. as to whether or not power is being recycled leaves us guessing. minutes your calculation will look like this. a 10 minute run time. Next looking at battery curves. decline very quickly over a short space and fail. 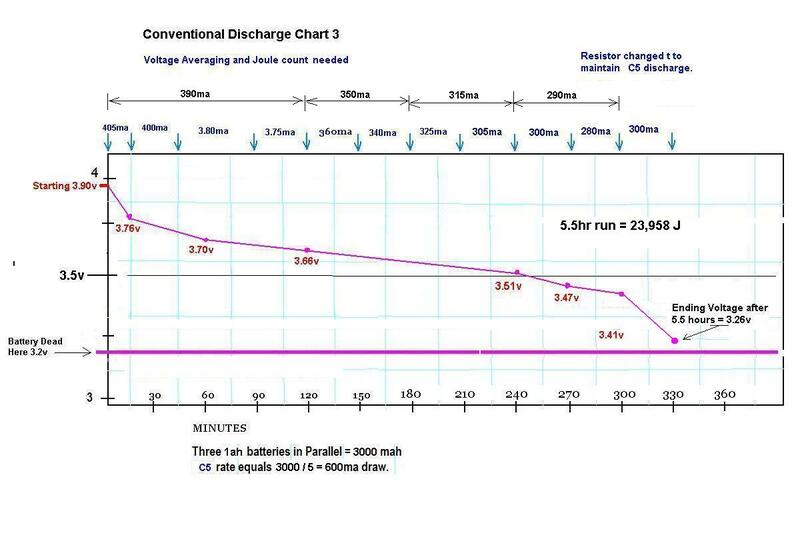 I will be back to show you my curve for these batteries. conventional run should follow the same pattern. you take advantage of it. God Bless you JOHN B. Last edited by BroMikey; 06-18-2016 at 10:12 PM. 2ah batteries connected in parallel and conventional mode. every so many minutes as I collect data. 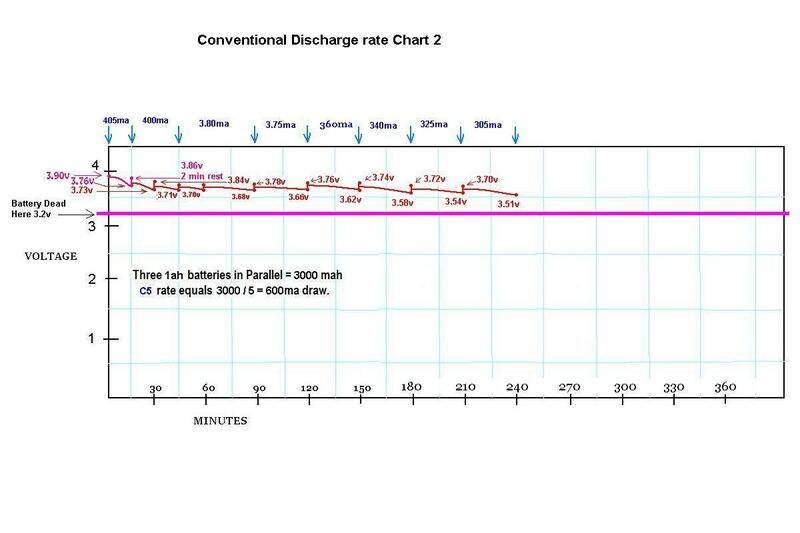 batteries at the C20 rate with calculation. Look at the diagram. system 3 times as long to collect data. Last edited by BroMikey; 06-19-2016 at 02:29 AM. The graph has been expanded with a 1 volt area of 3 to 4 volts. start up until now at less than 300ma the run in progress. Last edited by BroMikey; 06-21-2016 at 08:31 AM. number of joules and then add them all together. Each time frame for a given ma draw varies. carried out to the second. Last edited by BroMikey; 06-19-2016 at 06:19 AM. test to finalize this comparison run. Last edited by BroMikey; 06-21-2016 at 08:32 AM. Split Positive First Run Under Way. This is where I will stop till the next day as I have no switch gear. in charge voltage when the max charge is reached. before energy is thrown away. time batteries are changed around. count, not to many. Gotta be sure watt's up with this experiment. I see everyone's post, thank you. always stays at 3.95v at 200ma being fed into it. yet these Lithium ion batteries are made to handle that. showing video footage of how energy can be recirculated. Third entry: New graph below, I am running out of space. Last edited by BroMikey; 06-20-2016 at 07:50 AM. I wanted to post some information that Bro Mikey is looking for. It appears that the company called Blue Sea Systems makes Lead Acid battery switches which can be wired up to a few batteries to switch them In and Out of the charging circuit. They have Isolators that allow 1 battery to run the engine while another battery runs the boat electronics. They also have automatic switching for charging a battery or manual switching for adding Battery 1 and 2 to the charging circuit. The products are not cheap but they will get the job done he wants to do. I just wanted to be able to post. Maybe you can send him the information. A combination of the two below or just one of them would help in making battery switching in and out easier. Maybe you can send him the information. A combination of the two below or just one of them would help in making battery switching in and out easier. Good to know what can be purchased across the counter. Also look at my updated graphs above. Last edited by BroMikey; 06-20-2016 at 01:56 AM. mark hrs ago. After 9hrs plus the light is burning along and my batteries voltages are far from 3.25v which is considered a dead battery. is over 24,000 J with no end in sight. It;s-a-lookin pretty dern good from over here. Last edited by BroMikey; 06-20-2016 at 04:59 AM. I learned a long time ago that the only one you need to prove this to is yourself. Make sure you do that beyond ANY doubt, because you will spend the next few years (if you are active on the forums) defending yourself and your "research methods" from those who believe they know better. Remember that both the inverter OR the 12 volt brushed DC motor add something to the circuit that aids in the charging of the third battery, and that is a PULSE. If you want performance with larger batteries and larger loads, one of those two is essential. Matt's motor adds something that other motors don't do quite as well, and that is add the generated voltage of the motor (acting as a generator) to the circuit which increases the voltage you are moving around rather than decreasing it. When you take THIS CIRCUIT, that allows you to run loads without using up the energy in the batteries and add Matt's motor which generates additional voltage and run the RIGHT generator, I believe you will begin to see where we are coming from. You CAN get your batteries to run loads without losing any energy. It requires TIME and PATIENCE and PERSISTENCE. 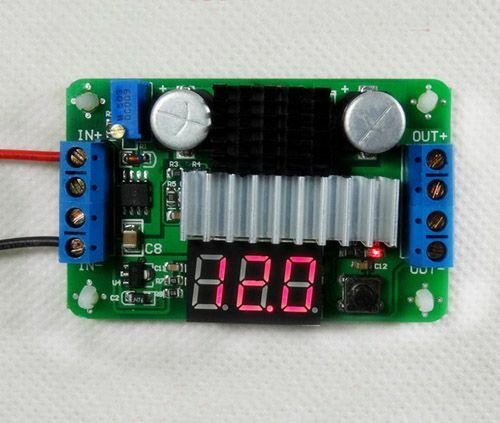 (And pay attention to what Bob French is posting on the forum because he is spending hours every single day on this and is applying this to working situations) If you learn what it takes to do it with batteries, you can do it with capacitors. That's the next step, but those who think they are going to skip the step of learning to do it with batteries and leap to the next step of doing it with capacitors will most likely find out that their shortcut cost them in both TIME and MONEY. Once you can do it with capacitors you are ready to learn how to do it without either. coils that would require some form of rectification. After rectification there is a positive and a negative. 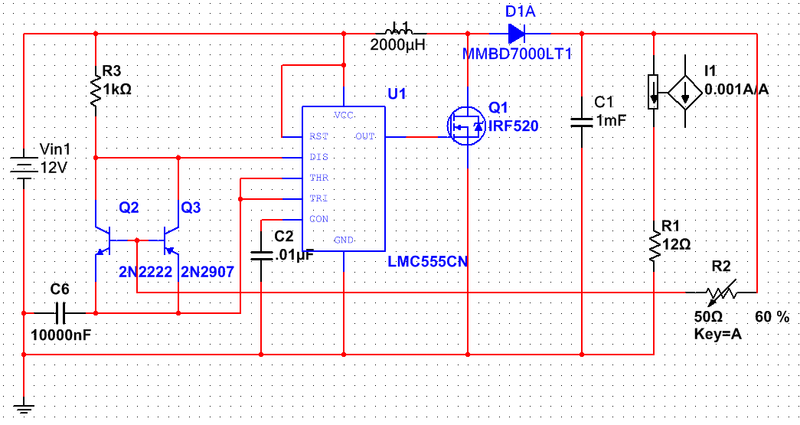 circuit to apply it to other things, this answers my question. 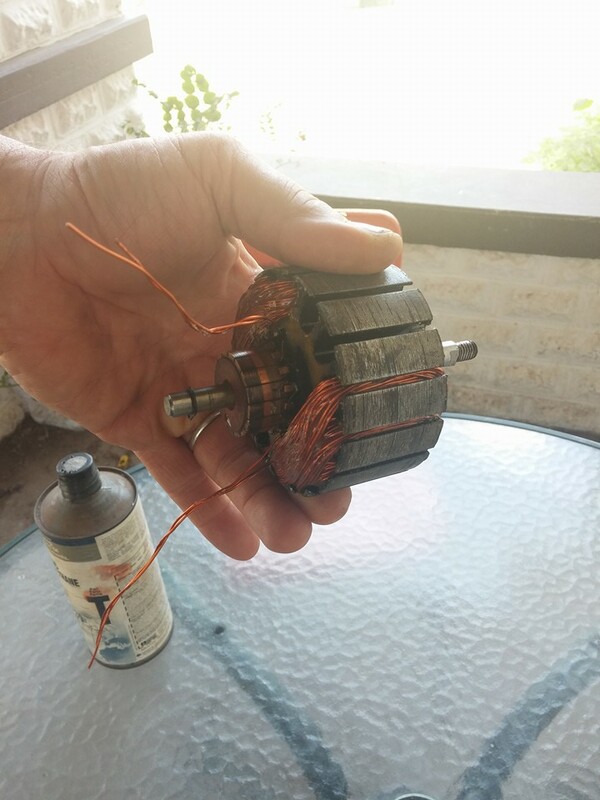 Keep at those exotic motors with magnets. And where you calculated 22,960J. And ran for 5.5 hours. However you were attempting a C20 discharge. You were running a bit higher current, so maybe it was more like a C15. But that means you should have run for 15 hours, not 5.5. Something is very wrong with that test. Perhaps the cells were not fully charged. I think if you want to use that as a baseline, you need to explain the discrepancy or repeat the test. not seem to apply with these Lithium ion batteries. This is my first test ever with this kind of battery. apply any such standards as we do with lead acid wet cells. 4 volts after 20 minutes. that these batteries eventually ran down. as when I had left them. for 60 percent of their joule count. difference from series batteries B & C.
I have concluded that the system does recirculate energy. I will have to re-figure the real amp hour ratings and their "C"
I am not sure yet about Lithium ion batteries. from loading batteries at a great rate might waste some power. in a circuit that runs loads for free. My test of course is inconclusive, so a self runner is out, THUS FAR!! This testing has finished and I will be back with a joule count. batteries were a poor choice. Last edited by BroMikey; 06-20-2016 at 09:15 PM. Let me give the joule count for this latest experiment. See setups in charts above. up energy as the max has already been reached. several 30 minute periods where no increase in voltage occurred. 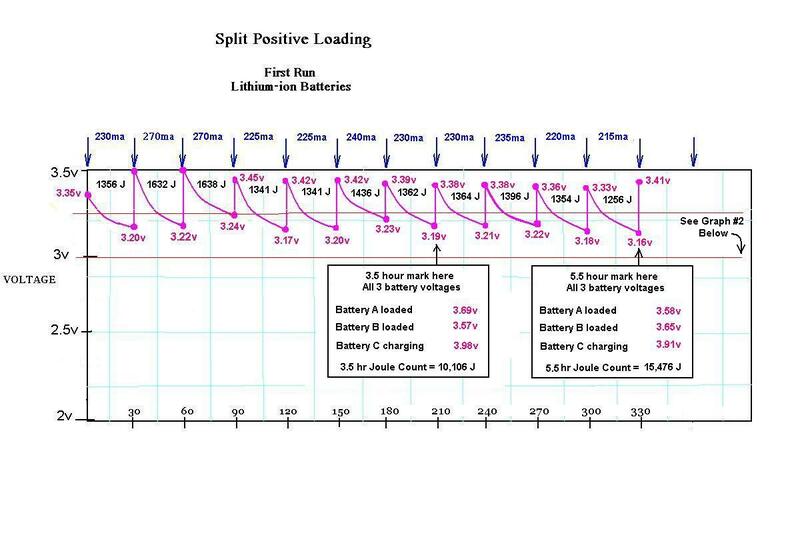 Battery voltage must reach 12.6v in the 3 battery series line up with each of the three batteries needing to top out at 4.2v. You're doing some great work here and I hope you keep posting your results. What was the highest voltage batt 3 (single reversed batt) went to when it didn't climb any higher? Lithium lifepo4 and lithium ions (usually cobalt based) are constant voltage batteries and not constant current batteries (like lead acids) so although they can show a higher voltage for longer, it can be deceiving to see a voltage last so long. 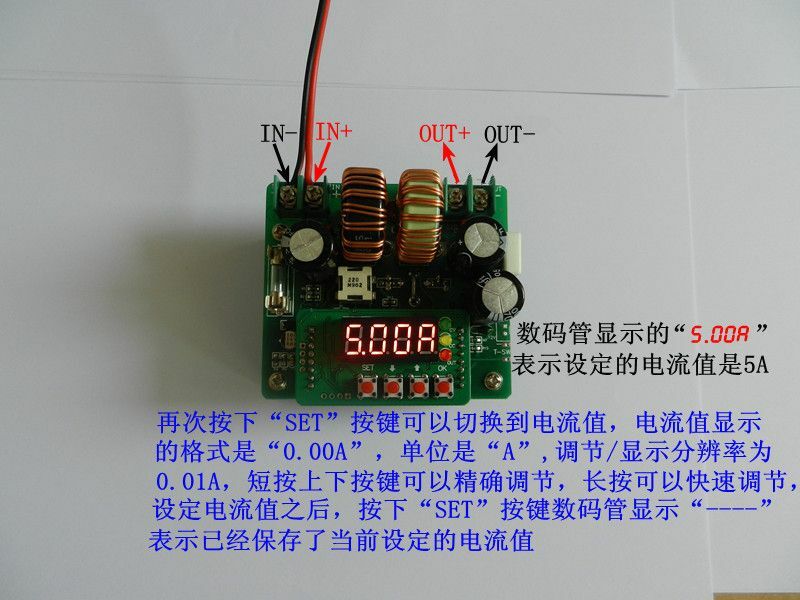 However, with that said, you are right about joules vs joules so whether it is a constant voltage or constant current battery, work is work from a certain voltage down to a certain voltage and that is what you want. The Peukert Effect doesn't apply that much to lithium batteries like they do with lead acids. A lead acid 20 hour discharge will give you a certain amps discharge for 20 hours. At a 10 hour discharge, it will be 90% of that and at a 5 hour discharge, which is the most any lead acid deep cycle should be discharged at will be about 80% of the 20 hour discharge. 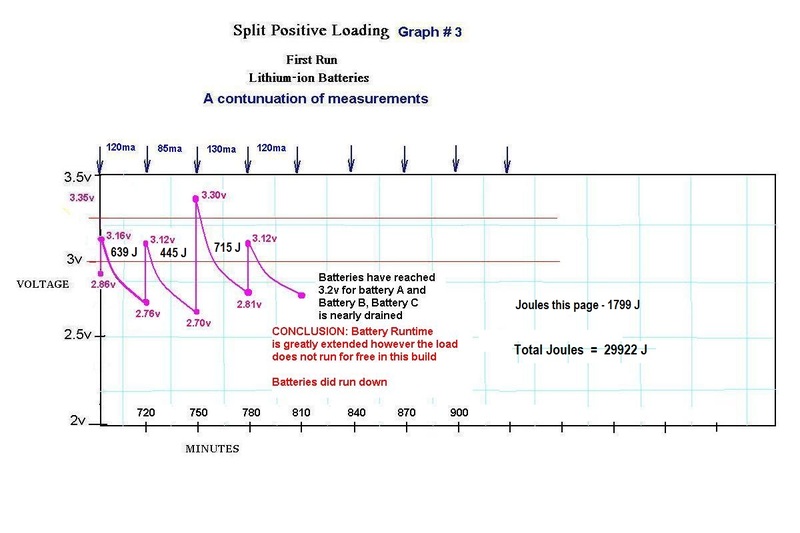 So with lithium batts, this effect is supposed to be non existent so whether you discharge a lithium at a 20 hour rate or 5 hour rate, you should still have the full capacity. If this is the case, then a 1 or 2 hour discharge rate should be an honest test with your little lithiums and won't take too long before you have to rotate them. With your conventional discharge chart - 6000ma you're showing 300ma for 20 hours. If there is no Peukert effect, you should be able to hammer them with a 1 or 2 hour discharge rate and get the full real capacity. 6000ma for 2 hours is 3 amps * 3.x volts = about 10 watts. It would be a good test with all 3 batts charged and discharged at a 1 or 2 hour rate to see if you get the same as the 20 hour rate. If so, you validate the claim that lithiums have no Peukert effect and therefore, you can accelerate all your tests with multiple rotations in one day. Do you have a factory charger for the batts that charges them up and a green light comes on when they're done? If so, what voltage are they at when they're supposed to get done? Also, if you charge it conventionally and then discharge it at x hour rating, what voltage does the battery drop to when you get 100% of the rated amp hour capacity? If you know that number, then charge all 3 batts with a conventional charger until they're full. Then discharge one battery until you get 100% of the ah rating and it is considered dead. 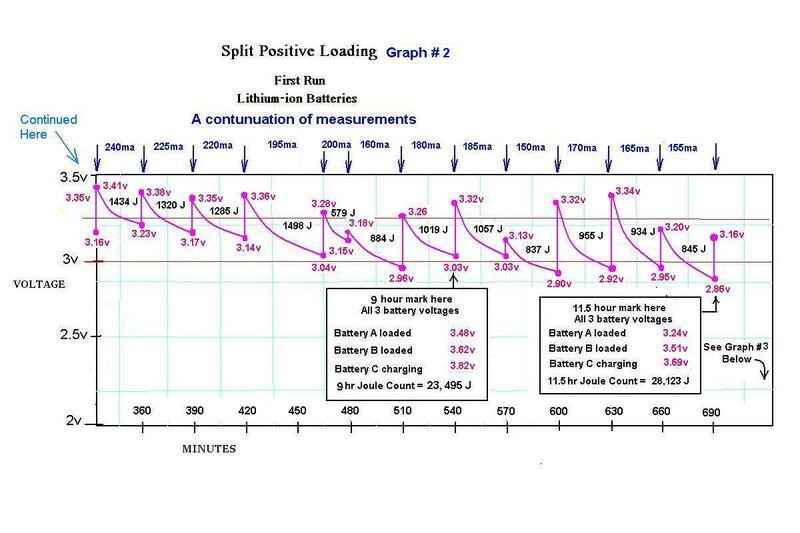 Put that battery in position #3 and have 1 & 2 in series and run the 3 battery test to calculate how many joules you windup getting until they're all dead. Starting with 2 full charged batts and one fully discharged, you should not be able to get more than 4ah's of capacity at the 3.x volt range until all 3 are dead. 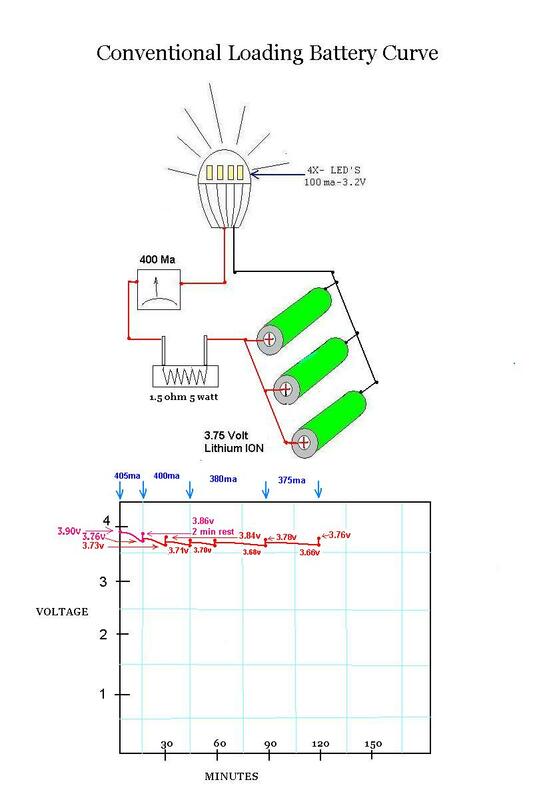 This is the old original concept and has nothing to do with pulsing, recovery, anything other than just the simple basic 3 battery schematic John had posted for ages. I may have missed something here, but just wanted to get a few clarifications.